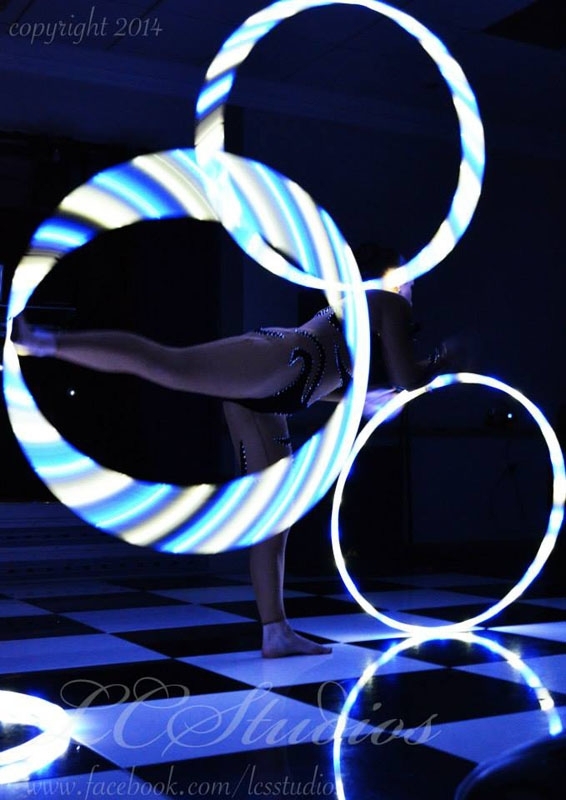 Our incredible hula hoop artistes demonstrate amazing skill and co-ordination in a fantastic, thrilling display. 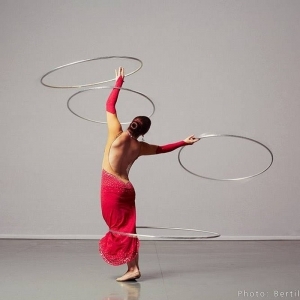 Using multiple hoops at once, around multiple parts of their body, the artistes manipulate the hoops into beautiful patterns and shapes, whilst expertly moving their bodies into various acrobatic positions. 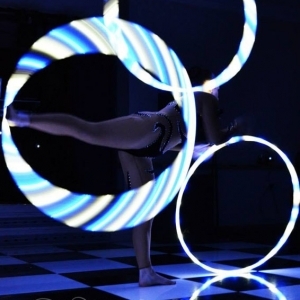 The LED hoops are fantastic for evening performances. 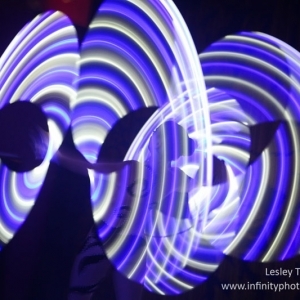 Expertly timed to match the music, the hoops change colour to create amazing patterns and effects. 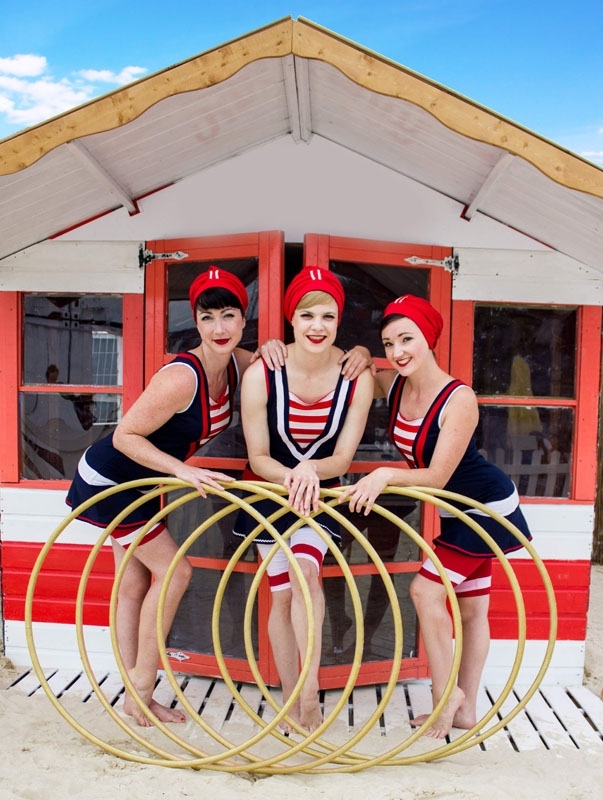 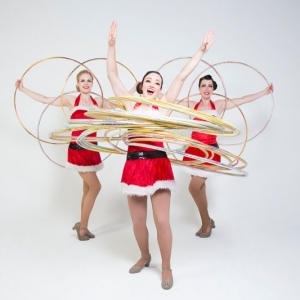 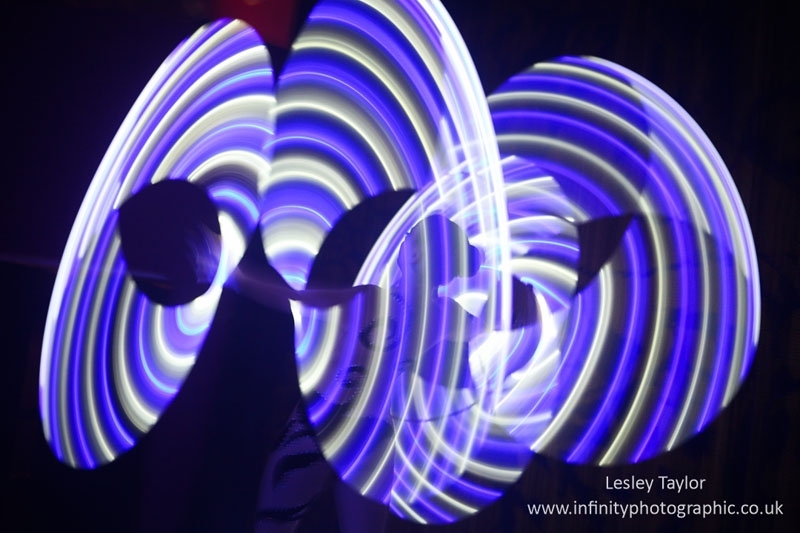 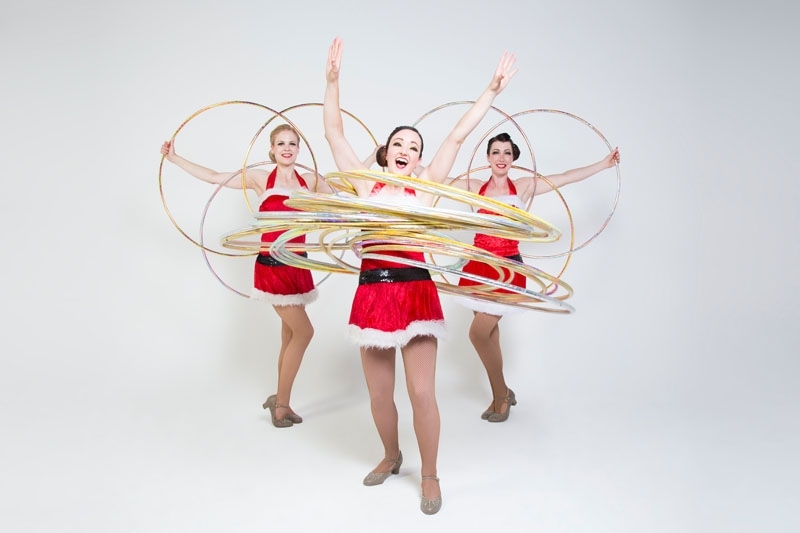 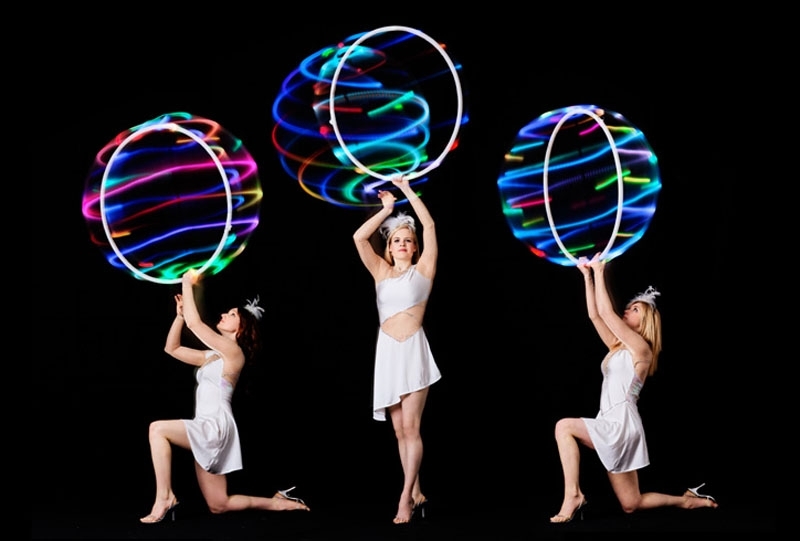 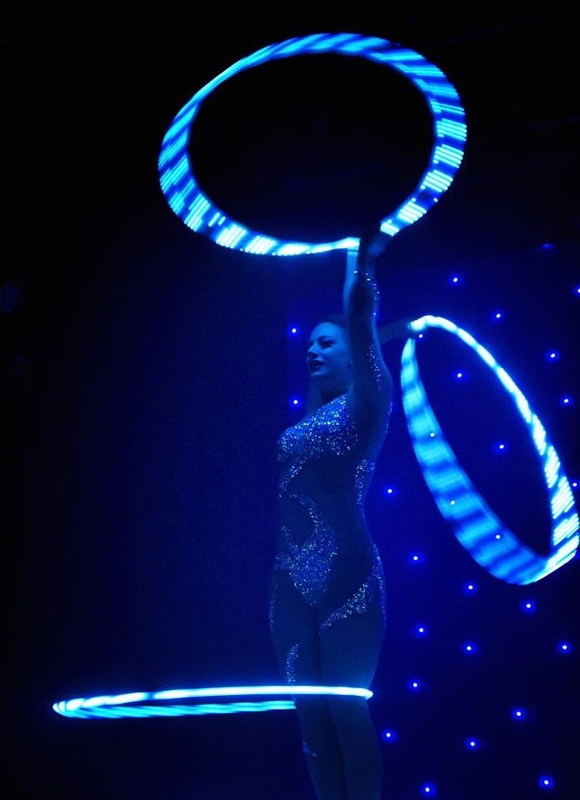 Our hula hoop artistes can perform as a solo act or as part of a group performance.